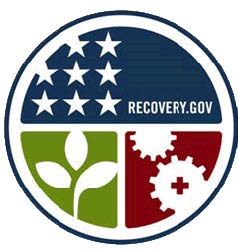 The Recovery Accountability and Transparency Board estimates that about 200,000 entities (state agencies, localities, companies, non-profits) will be entering data into the recovery.gov website. Anybody can look up every expenditure reported. But how do you ensure clarity and accuracy? Will media or others take pot shots without attempting to follow through on unclear information that’s been posted? Is it up to the data submitter (in this case, Clougherty Packing, LLC), the reporter, or the government to ensure clarity or context? Doing data quality control over 200,000 separate submitters and still allow relatively “real time” access to data is probably impossible. Will a political “gotcha” atmosphere temper the Obama Administration’s efforts to increase transparency? Or is this just the price of getting it right? President-Elect Obama will be meeting with President Bush and living past-presidents on January 7th in the White House to learn first-hand about their experiences. President Bush has no agenda, but one topic might be: how to engage civil servants in carrying out large-scale changes. President George H.W. Bush met with members of the Senior Executive Service a few weeks after he took office in 1989; senior executives who attended still talk about it, even though it included no give-and-take with his audience. President-Elect Obama has been urged to emulate this event. However, presidential scholar Dr. Martha Kumar notes that: “there is another model and one that has the benefit of working with President Obama’s strength of listening to people who have much to say in addition to telling people about the goals of the administration and their role in it. * Let the career civil servants know President Obama plans a partnership with them and what their common goals will be. * Remind the American people of the fine career staff working on their behalf in the federal government. She also observes that it offers the President an opportunity to tell employees what he wants from them and what they can do together. About two-thirds of career senior executives have not been through a presidential transition, so this would be an opportunity to engage them as well. Kumar has identified the weblinks to the transcripts of those long-ago meetings that President Carter held (which remind me a bit of the cabinet townhall meetings that Vice President Al Gore held as part of his reinventing government initiative in 1993). Was this the best use of a new President’s time in his first 100 days in office? Will the pressures of the challenges facing President Obama allow this level of interaction? Are there new ways of creating such interaction, given the Internet? These are questions the transition team is likely grappling with. Still, this might be an interesting topic of conversation when the Presidents get together. For the history buffs, here are the dates of each of the sessions at the then-eleven departments as they took place and a link to the transcript of each session as well. They are an interesting trip back in history! Department of Justice – January 26, 1977. This was a different session than the others as he went to Justice for the swearing-in of Attorney General Griffin Bell and did not have a question-and-answer session that was recorded. He took a tour of the department and most likely answered questions then.